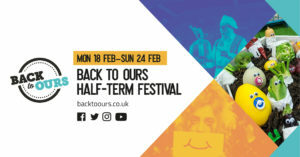 Blog » Back to Ours is back this February Half Term! The weather might be cold and miserable, but the team at Back to Ours have got something to warm you through – their half-term festival, running from Monday 18 to Sunday 24 February. Now a staple of the city, the half-term festivals bring beautiful shows from all around the world to venues in the very heart of Hull communities. So what’s happening this time? New Perspectives will be bringing The Giant Jam Sandwich to Wilberforce Sixth Form College, Sirius Academy North and Thornton Village Hall. Based on the children’s book of the same name, how on earth are the inhabitants of Itching Down going to get rid of the four million wasps plaguing their village? 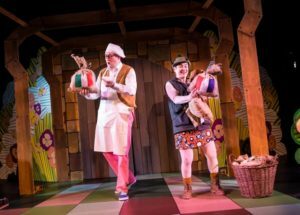 There can only be one answer; with a HUGE jam sandwich.Engaging and interactive, with surprises under seats and a baking song that needs a thump and a bump and a slap on the bottom, this is going to be a firm favourite for all ages. Ideally suitable for age 3+ but all welcome, tickets £3. 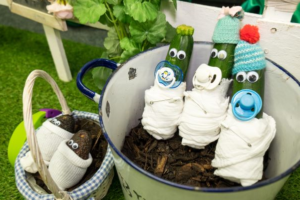 Back to Ours will also be welcoming back the vegetable-loving Plunge Boom with The Allotment, a veggie nursery full of homegrown offspring for little ones to love and look after. Everyone’s welcome to get stuck into the daily duties of feeding, bathing and caring for the baby fruits and vegetables. Ever wanted to befriend Barbara the downhill-racing watermelon? Comfort Jessica, the Sweet-Potato beauty queen? Feed David, the rather talented Marrow whose ambition is to become a stage actor? Now’s your chance. Catch them on their five-day tour across the city at St. Michael’s Church Hall, North Bransholme Community Centre, Sirius Academy West, Hymers College and St. Aidan’s Church. Suitable from 0+ years, £3 per ticket. Hull’s own Silent Uproar will be bringing their award-winning A Super Happy Story (About Feeling Super Sad) to Thornton Village Hall and Wilberforce Sixth Form College. Sally’s a happy person. She doesn’t let little things get her down and almost never cries. But she’s got an illness. It makes her feel like she isn’t the person she wants to be, but she doesn’t want anyone to know about it. Written by Olivier award-winner Jon Brittain, A Super Happy Story is a joyful, buoyant, gleeful, slightly silly, sugar coated, unrelenting and completely super happy show; except for the bits about depression… Suitable for ages 12+, £3 per ticket. Delicate Flowers by Single Story Theatre tells the story of Hessle’s own Barbara Buttrick, the iconic boxer and wrestler from Hull who fought her way from fairground boxing booths in France, England and America to win the World Women’s Bantamweight Championship. 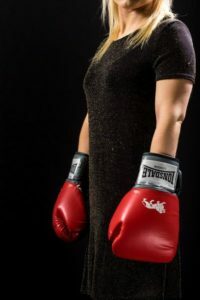 Narrated by Karen, a young Hull boxer from Hull who wants to use her boxing skills to improve her own situation, this story of persistence, faith, and having heroes will be appearing at Derringham Bank Methodist Church, William Gemmell Club, and Willows Social Club. Suitable for ages 12+, £3 er ticket. Fancy a gig? Of course you do. Britpop favourites Dodgy will be swinging by North Point Shopping Centre for a packed night of live music, playing their classic album HOMEGROWN in full. Celebrating the 25th anniversary of the release of the breakthrough, gold-selling second album, you’ll be treated to favourites like Staying Out for the Summer, In a Room, Good Enough and much, much more. For ages 14+, £5 per ticket. And last but by no means least, what sort of festival would it be without a Secret Gig? Well this time there’s two, but they’re both on the same night. If you want to know which amazing performers will be gracing the stages at William Gemmell Club and Willows Social Club, you’ll just have to make your choice between East or West… Adults only age 18+, £5 tickets. Find full details of all events on the Mumbler School Holidays page here. Book tickets online at backtoours.co.uk, as well as in person with cash from a number of community venues specified on the website and in festival newsletters.